Dr. Carfora holds graduate degrees from a number of universities, including The London School of Economics, Harvard University, and a doctorate from Teachers College, Columbia University. A recipient of several international research awards, John has lectured throughout the USA, Europe, Canada and Africa. Dr. Carfora has been a tenured professor, research scholar, and an international consultant with clients such as American Airlines, Disney and U.S. News and World Report. He served as Director of International Education at the Russian Academy of Management (Moscow), and was founding Curator of the Sir Leonard Bertram Schapiro Collection at the British Library of Political and Economic Sciences (London). Dr. Carfora was a Fulbright Scholar to Ireland, received the Distinguished Service Award from the National Council of University Research Administrators, and was an IREX Fellow to Russia. John is also a bioethicist and Certified Compliance and Ethics Professional (CCEP). 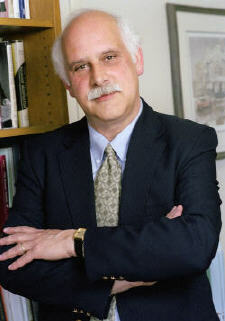 Dr. Carfora is former Co-Chair and a current member of "I-Group" – a National Academy of Sciences committee on international research – which published the book Examining Core Elements of International Research Collaboration (National Academies Press, 2011), and a member of on the Board of the Higher Education Teaching and Learning Association. He is Senior Advisor to the Fulbright Association of Greater Los Angeles, and serves on the Board of the National Organization of Research Development Professionals (NORDP). John is a former member of the Board of the Alumni and Friends of The London School of Economics (1982-1990). As Associate Provost for Research Advancement and Compliance, Dr. Carfora oversees and coordinates university efforts to develop research capacity and ensure research compliance in accordance with federal regulations, state laws, private sponsor policies and regulations, and internal policies and regulations. The Associate provost works with faculty, staff, Deans, and other administrators to increase the volume of externally funded research and to ensure appropriate communication and training programs related to research funding and compliance. Dr. Carfora provides oversight for LMU’s Office of Research and Sponsored Projects, Institutional Review Board (IRB), and the Institutional Animal Care and Use Committee (IACUC), and serves as the University’s federally designated Research Integrity Officer (RIO). Dr. Carfora co-authored The Art of Funding and Implementing Ideas: A Guide to Proposal Development and Project Management (Sage, 2011), and wrote the Foreword to Universitas: The Social Restructuring of Higher Education in America (Praeger, 1998). He also co-authored a popular article on the New Deal economist Stuart Chase (Harvard Magazine, 2004). Dr. Carfora is currently writing a book on Leadership, Decision-Making and the Academic Presidency.